Crafted with knowledge for an amazing user experience. A lightweight railways app, loaded with features developed to help those millions of Indians who travel through trains. In addition, the app provides info on Local Trains and Metro. A simple, sleek and user friendly design making navigation easy for all categories of railways travelers of varying age group. Search PNR once in easy clicks, and get automatic updated alerts and reminders for your railway journey. Facilitates passengers to search for trains and enquire for their Fare, Seat Availability, Live Status, Route and much more. Best multi lingual keyboard app works perfectly with Facebook, Twitter, Whatsapp. Supports all major Indian languages. Customize your keyboard with beautifully crafted built-in themes or personal themes while you use them on Facebook and WhatsApp. Discover the colorful Emojis, GIFs and Smileys integrated in the app to make your chat more interesting & use them to express your emotions. The Multi language feature facilitates easy and faster typing in your preferred language. Choose from our wide variety of stylish Keyboard Themes designed for personalization and get a diff visual experience! The Sticky Notes feature helps you save personal data for quick reference. Tired of boring text, impress your friends with Emoji Art! Search you favorite Bhajans by name from our complete collection of over 2000 Bhajans and Aarti in all Indian languages for FREE. Our collection of Bhajans and Aartis includes some of the most legendary hits sung by artists like Lata Mangeshkar and Jagjit Singh. The playlist feature lets you create a customized list of favorite songs to organize your music. Play them with Shuffle and Repeat features. 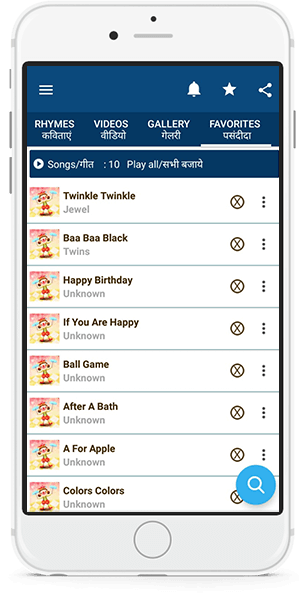 Our Hindi Bhajan App is an excellent collection of more than 2000 Bhajans Aartis, Chalisa and Mantra. They include Hanuman Chalisa + Sunderkand, Krishna Bhajans, Lord Shiva Bhakti Songs, Lord Rama Bhajans, Shirdi Sai Baba Aarti Songs, Ganpati Ganesh Mantras and Maa Durga Chalisa and much more. 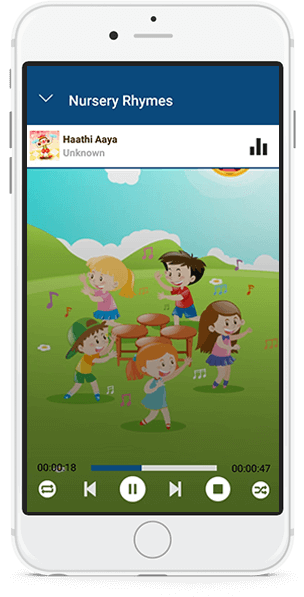 Enjoy devotional songs in other Indian languages absolutely FREE! 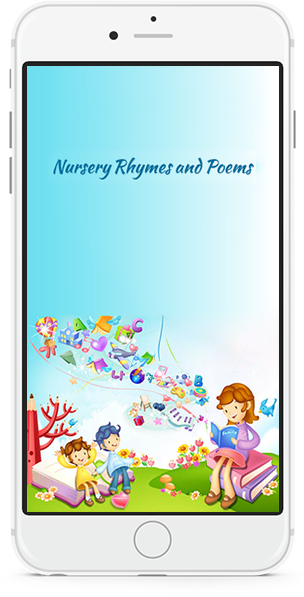 Our Nursery Rhymes App is a complete collection of different poems, a great source of fun and an educational tool, especially for preschoolers and toddlers. With a beautifully laid out UI, the app is simple with text and audio and no animations. It is an all-in-one collection of English and Hindi poems. A great collection of favorite Nursery Rhymes in English and Hindi, which offer entertainment and fun learning experience. Great source of fun & an intelligent tool to teach kids the simplest of things, making their learning process entertaining. The app provides coverage across all the current international tournaments besides domestic cricket. Get all schedules of up upcoming matches. The app provides live score updates on a uniquely designed scores widget. Get ball by ball commentary to help you visualize the action. The app provides latest cricket news and opinions from around the world. In-depth analysis of all the latest happenings. The best Cricket App to follow live cricket. Extensive coverage of all tournaments with superfast scores and commentary. Highly engaging ball-by-ball commentary. Notifications of all breaking news and live matches. Interesting Rankings, Stats, and Records. Players and Team Rankings of ODIs, Tests and T20s. The app blends addictive game play with realistic breathtaking 2D graphics. The attractive 2D graphics has become a hot favorite. The smooth physics simulation with dynamic graphics gives a feel of real life racing together with unique music and sound effects. Off Road Hill Climbing App is successful because of the careful design and implementation of an innovative strategy incorporate in every aspect of the app design. It has a long stay at the Google Play Store because of its addictive gameplay. Enjoy the thrills of arcades games as it gives you hours of continuous game play. Car Racing will challenge even the most skilled racing fans. Drive your car through the endless highway traffic and realistic city. Breathtaking visuals and amazing cars help improve your car racing skills. High-speed Car Racing game offers a fun and fast paced experience with plenty of cars and tracks to choose from. Stunning visuals, real time geometry reflection, astonishing physics, and other amazing effects are just awesome. Some more mobile applications by us. Best Word Search Puzzle Game Free to Play and Download. Find the words in the crossword grid. Word Search App is in 22 Languages - English, French, Italian, German, Spanish, Dutch, Portuguese, Russian and Indian Languages - Hindi, Gujarati, Marathi. Word Search in Multiple categories for Kids and Adults.Multiple Difficult Levels - Grid Sizes 6x6 to 15x15,Multiple themes, Lots of puzzles to choose from - General, Geometry, Gym, Insect, Mammals, Money, Numbers, School, Shapes, Sports, Trees, Tools, Weather, Play it Offline without Internet. Our user-friendly Cooking Recipe app can help you find your favorite recipes. It has an easy cookbook menu with hundreds of quick meal recipes organized into categories. Browse recipes by summer, winter: save your favorites; and share your reviews, photos, and recipes on different social networks. Step-by-step instructions help to prepare any of the mouth-watering recipes to spice up your lunch/ dinner experience! The Packing List App suggests the maximum amount of clothes, toiletries, electronics and accessories one should carry on a trip – thus makes exploring the world easier by organizing your essentials. It also takes into account the weather and number of days you are going on a trip. An ideal app that helps you quickly and easily create a packing list for all kinds of trips, journeys or holidays.